We all like to get outside and be active. Well, most of us do, anyway. Unfortunately, life is busy, and sometimes there are events that can get in the way and possibly interfere with our hobbies. One of life’s events that can’t help but make things complicated is the birth of a child. As wonderful and exciting as it is to have a new baby, it can be really easy to become a hermit and stay inside the house where everyone is safe. However, eventually you’ll need to venture outside with your toddler, so what better way to do that than going on a nice bike ride? Children’s bike seats are now safer than ever before, allowing you all to have a fun, stress-free outing. But where do you start? This buying guide is designed to give you as full an overview as possible while providing a selection of some of the best options available in a variety of mounting positions, from front to rear, and a little bit in between. Now, in case you’re still not convinced that a bicycle-mounted product is a safe option, we’ve got you covered. I’ve included a couple of unique choices that, while not exactly infant seats, they are capable of keeping your child safe and comfortable from start to finish. This Spring 2018 update comes just before the hot summer weather begins, when you'll really want to be out riding your bicycle. We added a few new options that are new this season. If it's time to upgrade or purchase your first one, you'll be sure to find something to suit your style, budget and baby's needs on our list. So, hopefully, now you’ve started to warm up a bit to the idea of riding with your toddler and are ready to take a closer look at exactly what some of the top manufacturers have to offer. After all, it is widely accepted that engaging in a variety of activities with your baby is an excellent way to build a strong bond. Now, let’s get right to the list, so we can get you and your family outside enjoying the fresh air. I’m going to be completely honest here, this is a silly looking option. In the end, though, that doesn’t matter, and what you’re left with is a high-quality product from one of the top brands on the market today. This is a perfect example of a front-mounted option with a maximum weight limit of 33 pounds, so it will only last your child for a short time. But during that time, you both get to experience an unparalleled bond. When you’re on your bicycle with your child, you are solely responsible for anything that happens during the ride. It would be terrible if they somehow managed to get loose while you were concentrating on navigating your way around. This seat includes a childproof lock so something like that never has to happen. Even though this product is only rated to 33 pounds, that still leaves up to two years for your child to grow. It’s a good thing then, that the footrest on this option is easily adjustable to account for the growing child. There’s nothing worse than being crammed with no room to move. This product stands out for a lot of reasons, all good, and the price isn’t one of those reasons. This is a high quality, a well-made option that will serve you and your family well for the duration of its lifespan, and won’t cost all that much, to begin with. Schwinn is a company best known for making really good bicycles. So it kind of makes sense, then, that they would eventually decide to dip their finger into manufacturing child seats. Unlike, some companies that branch out from their bread and butter, this product is really well-made and high quality, much like everything they make. Also, because you’re buying a Schwinn product, you can be assured that you’ll get a lot of bang for your buck. Most options are padded since the shell is often made from a hard plastic. However, they never seem to be padded enough, and the child is left to deal with discomfort after an extended period in the seat. Schwinn didn’t want that for your child, so they compensated by giving extra padding for utmost comfort. This product is constructed from a very versatile polypropylene material, which makes cleaning and maintenance as easy as writing it down with a cloth. Also, it’s sufficiently impact resistant, so it holds up to abuse quite well. Schwinn made this product to fall in line with the rest of the pack in terms of performance, functionality, and price. That way, you’ll end up getting a lot for the money spent, which in this case isn’t really all that much. Here we go with one of the nontraditional option on this list. I’ve included it here because even though it’s a trailer, it still allows you to transport your child with your bicycle in a safe and secure manner. It also helps that Burley Design happened to make one of the better offerings on the market, without making you break the bank to afford it. Rear venting to keep the climate comfortable and dry, and tinted windows to keep out the bothersome rays of the sun? Sounds like Burley Designs wanted occupants to enjoy their ride as much as possible. You’re carrying precious cargo, so keeping them safe and happy is critical. This is a trailer that is meant to be pulled along on the back of your bicycle, so already the portability is high. There are times, however, when you need to get it from place to place without it being set up. Luckily, this one folds up very easily, so you can take anywhere you want. 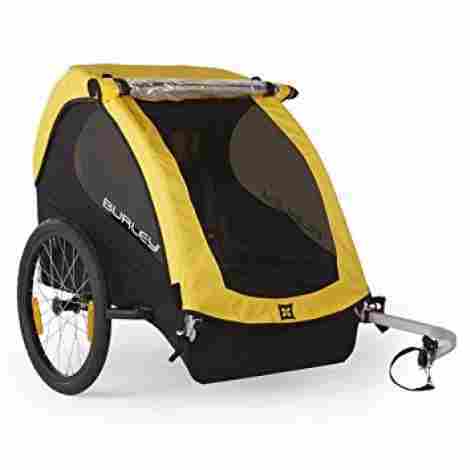 This is a great option for those who don’t want their child to be directly attached to the bicycle, but still want to take them for a ride, and not have to spend a lot of money doing so. One of the best trailers on the market for one of the lowest prices. Now, to switch things up just a little bit, we have a front-mounted option from iBert. You’re not going to see many of this type on the list, because a lot of parents are quite wary of them, but they are a safe option, and keep the child up front where you can see them, so I wanted to have at least a couple of the best ones on the market. 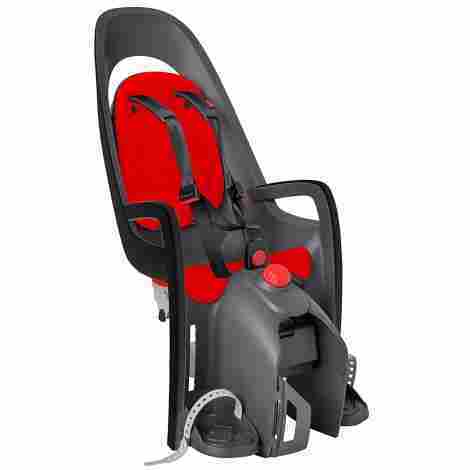 This one just happens to be one of the best all-around seats in general, with iBert being known for their high quality and safety-first products, so it fits perfectly here. Next time that you decide to go for a ride, and want to bring along a passenger, you can grab this and be on your way in a matter of seconds. It installs in a flash and can be removed just as quickly and easily, so you never have to struggle with it or your bike. 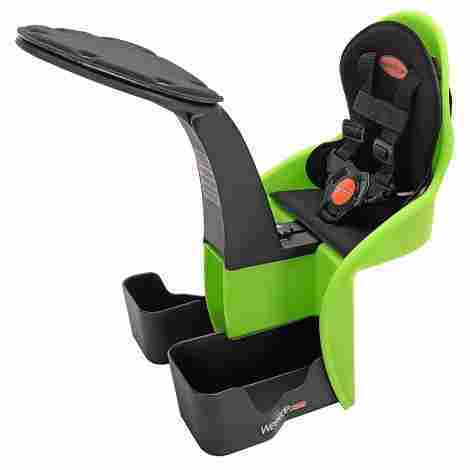 This product places the child securely behind the handlebars and between your arms. Not only does this make them super easy to reach and talk to, but it allows for you and your child to be close to each other. It is true that this option may cost a bit more than you may be used to seeing, but not by much. Regardless, this is one of the top products that money can buy, so a few extra dollars for unparalleled quality and peace of mind is a sacrifice that you can feel good about. On any list or buying guide that you happen to look at, this product by Thule will almost always be at or near the top. Most of what Thule makes, in fact, sits near the top of the pile. The name, and more recently, this particular option, has become synonymous with safety, and you'll be hard-pressed to find anything that can even begin to compare. Anything they make is a great choice, with this one being one of their crowning achievements. This product is installed by means of a universal quick release bracket that makes taking the seat on and off a very quick and efficient proposition. Mind you, it can be a bit tricky to install initially, but it includes comprehensive, easy to read instructions to guide you step by step. After that, it’s a piece of cake. This is one of the first options that I’ve seen with a suspension system designed to keep the ride as smooth as possible. This brings us to a whole new level of comfort, because face it: all the padding in the world means nothing during a rough and bumpy ride. Thule makes excellent products, but they can also be very expensive. When it comes to the pinnacle of safety, protection, and comfort, the extra amount that you`d spend is a small price to pay. There’s a reason that this is one of the best products out there, and the value is unmatched. 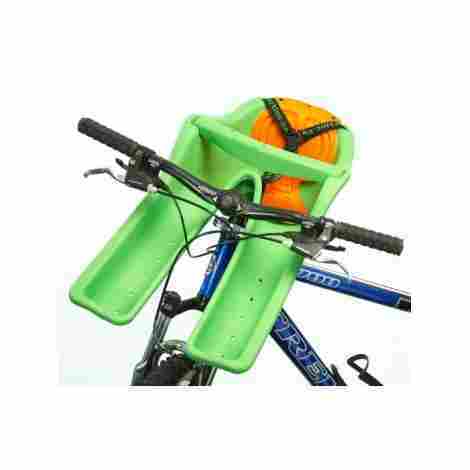 This item is very far removed from being a bicycle seat, but for older children, it accomplishes the same thing as a dedicated option, but comes with the added bonus of having your child be much more interactive during the the ride. This can greatly increase the enjoyment level for the child, and lead to them discovering a whole new lifelong love. It attaches easily, and getting your child more involved will leave you with a great feeling. This ride-along option is all about the safety of the child. The frame can disconnect in an instant in the case of an accident or some other emergency, and the manufacturers even included a safety flag to alert motorists that you are in the area. Having your child along with you in a way that allows them to interact with the bike can help build the skills and interest necessary to create a bike enthusiast for life. Your child can just coast and enjoy the ride, or they can pedal right along and contribute to the effort. 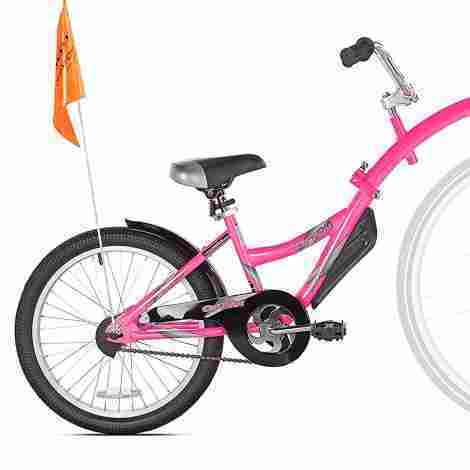 For all intents and purposes, this is an option for your child that keeps them close at hand and provides all of the exhilaration and thrill of the ride, while costing a fraction of what a typical child’s bicycle would normally cost you. Now we have another selection that features prominently on many lists, this one looks the part. It’s design and appearance just screams serious high quality, and from the moment you first install this product, you know that your child is going to be as safe as they possibly can. It’s another rear-facing option, and the rigid frame mounting it utilizes helps make for a very solid, shock-absorbing experience. It also doesn’t hurt that this award winning product has been recognized for its safety around the world. This may not mean all that much to a lot of riders, but the modern look with the clean lines helps separate this option from the rest of the pack. Why have a product that looks the same as every other one when you can ride around with your child in style? Hamax designed all of the features on this product that involve adjustments of any kind to be handled with only one hand. As many parents can attest to, sometimes one hand is all you have, and the convenience offered is absolutely invaluable. While building this list, it became clear that there seems to be a pretty large gap in peace between the average and the top brand names. In many cases, you end up paying for the name almost exclusively. With this product, though, what you’re actually getting for the extra cost is incredible value. This is a little bit different in comparison to other products on this list. It mounts to the middle frame, which is great for stability but sits kind of like a front-mounted seat in terms of placing the child in your arms behind the handlebars. One thing it does better than a front-mounted option is that the child sits lower, not obstructing your view in the slightest. WeeRide made a very popular product that provides riders with an option they wouldn’t normally find anywhere. 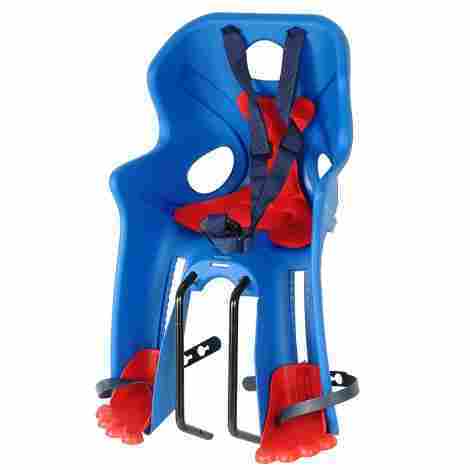 While searching for these products online, you may come across either three- or five-point harnesses. Both are perfectly legal, and three-point options are more cost-effective. WeeRide doesn’t think that way and made sure that they put in a five-point harness to ensure your child is as safe and secure as they can get. Center-mounted options seem to be hard to come by, but one added advantage that they have over other mounting options is how they use the weight of the child to actually improve the stability of the bicycle, as opposed to making it unbalanced up front or in the back. On top of that, they’ve included a support bar to make it even more stable. This happens to be a well-known product that many people entrust with the safety of their children, so right there it’s already a great value. For what it’s worth though, is it also ranks among the most affordable products on this list. Great value for a low price makes this one of the best you can buy. As we begin to wind down this buying guide, many of the final selections are going to be among the best of show. This one is currently at the top of the pile, and Yepp is more and more coming to be known as a top brand name throughout the industry, all due to the insane attention to detail and high standards imparted by them on to all of their products. This product takes up very little room on your bike, yet provides all of the safety features you could hope for. Being a front-mounted option, one of the more common problems to be found is the total exposure to the wind. Being the industry-leaders that they are, the manufacturers included a very convenient windscreen to help negate that issue. This is very safe, and very well-made. That much is certain. However, if there is any doubt in the mind if any consumer, just take a quick look at all of the accolades that they managed to accumulate. From design to innovation, the world has noticed how good this option is. For a front-mounted option, this is a bit on the pricey side of the spectrum, but seeing as how this seat is arguably the best option on the market, that price quickly becomes a lot more reasonable. It’s not a top-rated product by accident, and you’ll be paying for quality. This bright, cheerful addition is a great way to finish off this buying guide, and it also happens to also be one of the better choices. It’s a rear-mounting option with a high back for comfort and stability, and even has an included rack that attaches to the back to provide a little bit of storage. It has all of the features you would expect in a product of this price and quality, and is all put together with extreme attention to detail. A lot of the options on this list are going to be compatible with at least a decent range of bikes out there, but most of them are newer models. This product keeps this in mind and easily attaches to many different older models. I like it when products that are made for children have components that are easy to remove in order to clean them. Kids are messy as it is, neverminds the everyday wear and tear that the seat will endure. Being able to take off the pad to wash is a great feature. The final selection on this list is a higher-end piece that is going to be priced accordingly. You’ll pay for all of the bells and whistles, and return gets dependability and peace of mind you don’t find just anywhere. It’s hard to find value at a higher price, but this one is different. I’ll admit it, I’ve always been a bit apprehensive when it comes to taking a small child on a ride. I mean, it doesn’t look like it would be all that safe, or, for that matter, balanced. After taking a look at several options from all sorts of manufacturers, I’ve come to realize that these products are going to be exactly as safe as you allow them to be. As long as you remain in control of your bicycle, your child is going to be completely safe and secure. The safety features present in most of these products at times exceed those found on car seats. It does make sense since the child is going to be more exposed, but that just serves to increase the level of enjoyment and freedom that they are sure to experience. The only thing to be careful about is to make sure that you are aware of the reduced weight limits when compared to car seats. Beyond that, go ahead, strap one on, and give it a shot. You may very well be pleasantly surprised how much your precious cargo will enjoy the ride. Compatibility for seats is, in my mind, the single biggest factor in selecting the ideal product. This is because there are so many different brands and models of bicycles available, and most people have already settled on the one they want long before the need for this product is there. Depending on the mounting type that you choose, the types of bicycles that the seat is compatible with will vary. Also, a lot of these products available in North America are actually made in Europe, and that creates a whole new set of compatibility issues, as the style found overseas is slightly different. First off, you need to determine where you want your seat to be mounted. The most common styles are front-mount, rear-mount, and center-mount. Front and rear mount are found the most and are generally compatible with a wider array of styles. This is largely due to the fact that front- and rear-mounted options utilize the front and back forks, respectively to attach to the bicycle in a stable manner. Center-mounted options, however, are harder to find and need to attach directly to the center of the frame itself, so compatibility becomes more of a challenge. For the most part, manufacturers try to accommodate as many different style of bicycles as possible in order to appeal to a wider range of people. Additionally, many companies now make adapters in order to greatly increase the number of compatible options. Unless the product you choose is especially obscure, chances are pretty high that you should have very little difficulty matching it to your ride. As if it wasn’t already hard enough to make products that are compatible with the majority of bicycles in North America, many of the most popular options now come from European manufacturers. European options are still very much old-school in design, opting for a thinner tube frame as opposed to American styles, which are rapidly moving toward a much thicker, oblong-shaped frame. Since there are still many options in North America that feature the older style, sizing and fit isn’t usually an issue. However, for those with newer styles that differ greatly with their European counterparts, adapters are usually readily available and very affordable. Alternatively, many European manufacturers are starting to cater toward the needs of the ever-growing market across the Atlantic Ocean, and are beginning to equip their options with the means to properly fit. Since the standards are different by region, it is always going to be a challenge to provide optimum compatibility between all of the available options, so an effective technique to combat this is to make doubly sure that the product you choose lines up exactly with your bicycle. Or, if money and time permit, try to buy both of them together, making sure everything meshes together well. Safety comes in at number two on the list of importance in the way of criteria. The reason for this has to do with standards. Bicycle seats are required to undergo rigorous testing before ever being made legal for sale, so whichever product you choose, it’s going to have met or surpassed the same standards as every other one on the market. That isn’t to say that safety isn’t important. Above all else, how safe it is – should be the primary reason for purchasing it. This may sound a bit contradictory, since one minute I say that all options are equally as safe, and the next minute I say to pick the safest one. Well, both are technically correct. It is true that all products must pass the same tests as mandated by the governing body of a specific region, but there are also several optional standards that a manufacturer may choose to subject their products to. This isn’t to say that a product that has gone through only one test is inferior to one that has passed three or four. The legally required test will cover every aspect that is deemed to be critical to the survival of a child during an accident. The optional testing will cover areas that don’t have federal regulations, such as impact in a such a form that isn’t as common or likely to happen, or stress tests to see how each product holds up under an amount of pressure that is unrealistic in an everyday scenario. Another possible concern regarding safety is the region that it was manufactured in. This becomes a slight issue because while very similar, standards between North America and Europe do differ in some key ways, the biggest being that Europe mandates standards, whereas North America doesn’t require them by law, and leave it to the manufacturers to police themselves. However, this is only a minor concern because any product that is meant to be shipped between the two continents must meet approval before it can be sold. Where it becomes more pressing is in situations where a product was purchased in one region and then brought over personally to another, and therefore the difference in the standards gets overlooked. There’s that nasty word once again: price. It always shows up, regardless of the product. But why here? I’ve already made it pretty clear that the only thing that should matter is safety, and all seats are unified in that regard, so they should all cost the same, right? Ina perfect world, yes, that would be true. However, beyond any added safety measures that a company has opted to include, there are other aspects, such as mounting type, materials, and brand, that will all contribute to making a particular option either a great value or an egregious waste of money. To start, let’s get the matter of safety out of the way. All products should meet or exceed the same standards. After that, it’s at the discretion of the manufacturer to include any extras that would serve to increase both the protection and the price. 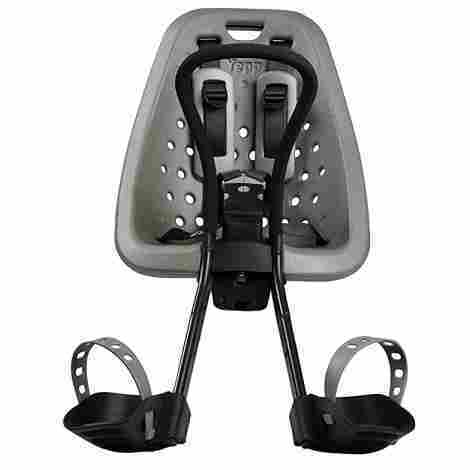 This can be minor things such as integrated footrest, or foot cups, as some companies label it, that keep the child’s feet out of harm’s way should a crash occur. Or, it could be a more significant feature such as a five-point harness instead of a three-point version. Both are legal, so if the makers are going to go with the five-point, why not charge just a little bit more? According to federal standards, none of the optional safety features are going to make any significant differences to the likelihood of your child surviving a crash, so it becomes up to you as the parent to weigh the pros and cons and decide if the standards meet your personal requirements. Next up, the mounting type does have the potential to swing the price wildly in either direction. Rear-mounted options are the most widely used and are also the easiest to install, so barring any major innovations that set it apart from the rest of the pack, most of the rear-facing products you pick are going to be the most cost-effective. As for front-mounted options, these are slightly rarer and require a few alterations in order for the rider to properly see ahead of them while still maintaining the safety and stability of the child. Because of this, these options are going to be a bit more expensive. Oddly enough though, despite their being less common, from the research I did for this list, they seem to have a greater level of compatibility compared to the rear-mounted choices. Lastly, the center-mounted products are by the hardest to find, and also require the most customization, and are therefore the more expensive options by quite a large margin. They need extra components to increase stability and to ensure a secure mount to the frame. Materials aren’t a huge factor compares to the others, as the outer shell on most is going to be one of only a handful of materials. They are all going to be fairly rigid, very sturdy, and durable enough to withstand both impacts, as wells as general wear and tear. One exception to this are the products that are made from rubber. These are going to be heavier, but also will have greater flexibility and impact resistance. Also, they will cost more. When it comes to the interior, this is where things will get a bit individual. The outer lining is going to be pretty standard fare, something that is easy to clean and resists moisture, odors, and wear. For this, vinyl or nylon are good candidates. Looking beyond that, though, some options will have varying amounts of padding to them, to keep a child comfortable while providing added protection. Unfortunately, because this is purely optional, manufacturers will usually charge consumers a premium for the increased comfort. The final factor and the one that has the greatest impact is the brand. Just like with car seats, the child bicycle seat market is virtually monopolized by a few select companies, though there do seem to be more options in terms of smaller brand names available. Strangely, though, the companies that rule the car seat market are all but absent when it comes to bicycles. In their place, are well-known brands like Peg Perego, WeeRide, an Thule dominate, and consistently show up on all of the best of lists. To make matters worse, Yepp, another brand that seemingly stands alone and often tops the charts, is also part of the Thule family. While this saturation can, at a time, make it difficult to remain unbiased in order to truly choose the perfect option, it does tell you something when a company is able to gain such strong footing in a single market. If they didn’t make quality products, we need to assume that consumers wouldn’t buy them. I feel the need to touch on weight limits for just a bit. Weight limits affect all child seats. Once the toddler reaches a certain weight, it’s time to move up to the next level. For car seats, a child can usually remain within one weight class for a decent amount of time, thereby reducing the need for replacement very often. This is different with bicycle options, however. Depending on where the product is placed, the window for weight limits can be quite narrow. Front-mounted options only go to around 33 or so pounds, which means that child will need to switch to rear-mounted, or another option such as a trailer, by the time they are two or three years old. That being said, the weight limit for rear-mounted options is greater, and a toddler could remain in them for the entire time they need to be in a seat. Speaking of that, a child tends to grow out of bicycle options much faster. 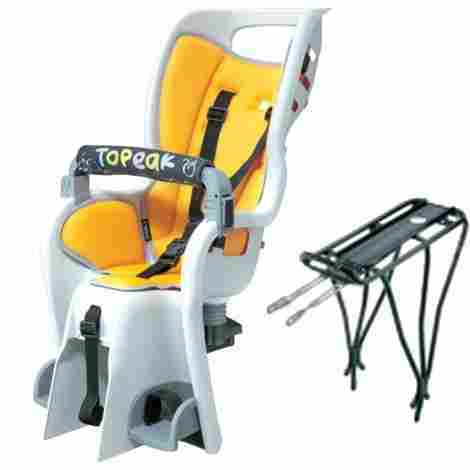 For car seats, it is recommended that children remain in a booster up to the age of twelve. Bicycle options, on the other hand, become obsolete by the age of six or so, as the child should then be able to ride one on their own. Frame mounting: Frame mounting refers to front- and rear-mounted products that attach directly to the frame. Rack mounting: These are rear-mounted products that attach to an included rack. The rack is affixed permanently to the frame, allowing the seat to be attached and removed at will. These racks also add a bit of storage space, making room for a gag to be attached. Seat post mounting: This concerns the center- and front-mounted options. These connect to the post, as this is the part of the frame that will offer the most stability and strength. 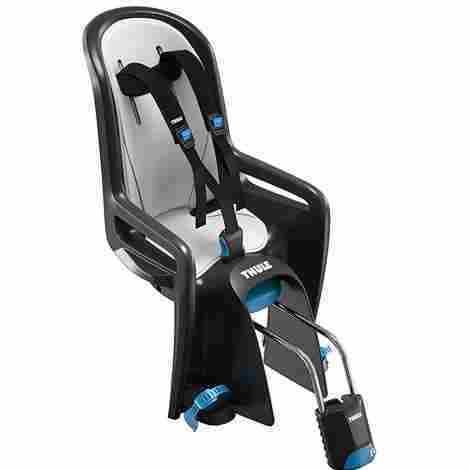 Suspension system: The suspension system on a child’s seat can come in different forms, but all achieve the same results: they absorb and redistribute any impacts from the bumps on the road. Weight limits: This is a means to ensure the top level of safety of the occupant without having them outgrow it. 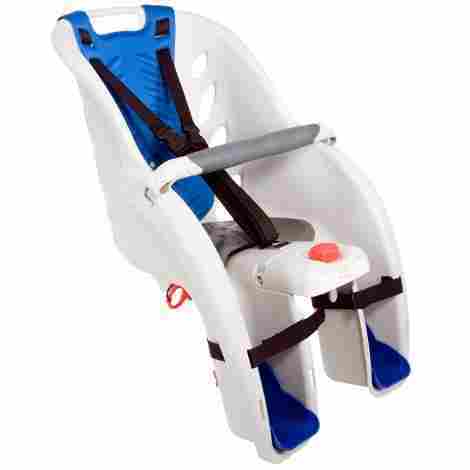 Harness: This is the means by which the child is secured to the seat. It works by way of either a three- or five-point harness. Both types of a harness are legal but most manufacturers have pretty much turned to the five-point option. Q: What’s the difference between front-mounting and rear-mounting options? A: Front-mounted options are located at the front and are mounted to the front forks and handlebars. These bring the child much closer to the rider and allows for easier access and greater communication. Also, the child is facing the rider, so there is more of a connection, allowing for a strong bond to grow. Rear-mounted products sit behind the rider and tend to rest much higher than a front-mounted one. They mount to the rear of the frame and have the child facing forward. Front-mounted options are more common for infants, whereas rear-mounted products have a larger weight range, and are best suited to older children. Q: Do these have the same safety standards as car seats? A: In the name of safety, for the most part, both products follow the same guidelines. They both require comprehensive testing, and they have standards for impact resistance. Also, they both follow weight limits in order to ensure the safety and comfort of children. Q: Are these even safe? A: Yes. Manufacturers are going to build their products with the safety of the occupant in mind. While American made options don’t need to follow any legally required standards, there are several watchdog groups and third parties that have testing and standards set up to ensure that the products are as safe as they can possibly be. A: For front-mounted options, the weight is usually around 30 pounds and will top out around 36 pounds. These are ideal for children from one to three years of age. Rear-mounted products go up to between 40 to 48 pounds. These can be used for younger children, but typically people choose to begin in a front-mounted option and then make the switch to a rear-mounted version. Q: Is a trailer better than a child’s seat? A: Yes and no. For babies and younger children, it may be in their best interests to remain in a seat until they reach the age of three or four. However, trailers can be a very good option, since they offer unparalleled levels of comfort, and they don’t restrict the occupant at all. Many people do see them as being unsafe, since the child isn’t attached very securely, and are not in the immediate line of sight of the rider. Active Kids – What’s Better for You and Your Child: Bike Seat or Trailer?